TL;DR: We are closing HHH. Read below for more information. We’ve come to the end of 2018, which marks the end of another year of sending young, wide-eyed and bushy tailed hackers to conferences and training events. We’ve been in a place of retrospection for some time, and we’re now ready to share our thoughts with the wider community. As an organisation and as individuals, we’re really proud of what we’ve managed to achieve in the last four years. We’ve sent almost 50 people to seven conferences. Over the years we have sent (and flown) people from Melbourne, Sydney, Brisbane, Adelaide, Perth, Canberra, Auckland, Christchurch and Wellington to conferences across Australia and New Zealand. As a team, we’ve spent countless hours planning, organising and executing on our aim to diversify the information security industry and provide opportunities to people that otherwise wouldn’t have them. We did this in a way that wouldn’t just be fun, but that would provide real benefit to the attendees’ future career goals of entering the industry. We’re overjoyed by the amount of positive feedback that we’ve received from our participants over the years, as well as the individuals and organisations that have supported us in our efforts to realise these dreams. We’re ecstatic that we’ve actually made a difference to the industry - a good chunk of the people that have participated in our program are now employed within the industry. 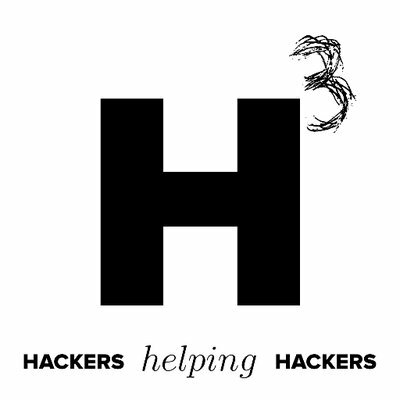 Hackers Helping Hackers is an Australian and New Zealand infosec community initiative. We started when Shubs and Naffy one day thought that it would be great if the community would come together and simply pay for people without opportunity to attend infosec conferences. We started small, bootstrapping the idea with our own cash, and later took donations from the wider community to help support us. We evolved our model and our method of selection, creating process to ensure fairness and transparency. We formalised our program, sending a single cohort of participants to three conferences across a year, as well as providing training and networking opportunities. We blogged about our intentions, spoke about what we aimed to achieve and how we wanted to achieve it. In all of this, the core of what and who we are has never changed: we’re just hackers, helping hackers. With all that said, it is with heavy hearts that we announce that Hackers Helping Hackers is closing. There is no one reason that has lead us to this decision, and it is not one that we have taken lightly. After four years of working towards our vision, we’ve come to face some happy and unfortunate realities. First and foremost, we’ve realised that we have been successful in attaining the core goal that we set out to achieve. Conferences across Australia and New Zealand now have their own established initiatives for outreach within their communities, funded by major sponsors and attendees. These initiatives help young people and people from under represented demographics to attend conferences that they previously never would have been able to attend. We’re absolutely thrilled to have been part of this change and will forever hold onto this as one of our core achievements. We also came to realise over time that running a non-for-profit organisation really is a full time job, and for a group of volunteers, it means using our evenings, weekends and holidays for a good chunk of the year to ensure that the organisation runs smoothly and successfully. We’re proud of the work that we put in to the organisation, and are looking forward to life returning to normality. For these reasons, and others, we decided that the right course of action was to close the organisation, and empower the community to continue the work that we started. We’ve already begun the process of winding down our company structure, and will continue it over the next few months. As part of this, we will be donating all remaining funds to organisations within Australia that are working towards achieving similar goals. When we look back at our time at HHH, we are humbled to realise that Hackers Helping Hackers is more than a group of people trying to help other people. It’s a symbol of how the industry and community can band together under a common ideal and effect positive change for all those that want to take part. We want to encourage the community to continue in our footsteps, and so we will be open sourcing all of our materials and methodology for how our program operated in 2018. Lastly, we would like to express our deepest gratitude to each and every person and organisation that contributed to Hackers Helping Hackers in any way, shape or form over the years. You helped us to realise this dream, and we could not have achieved what we did without you.